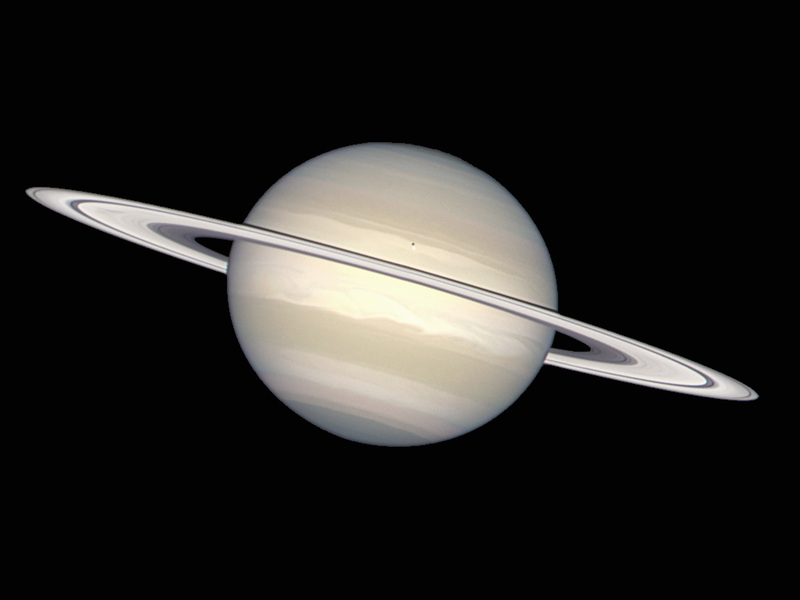 The ring swirling around Saturn consists of chunks of ice and dust. 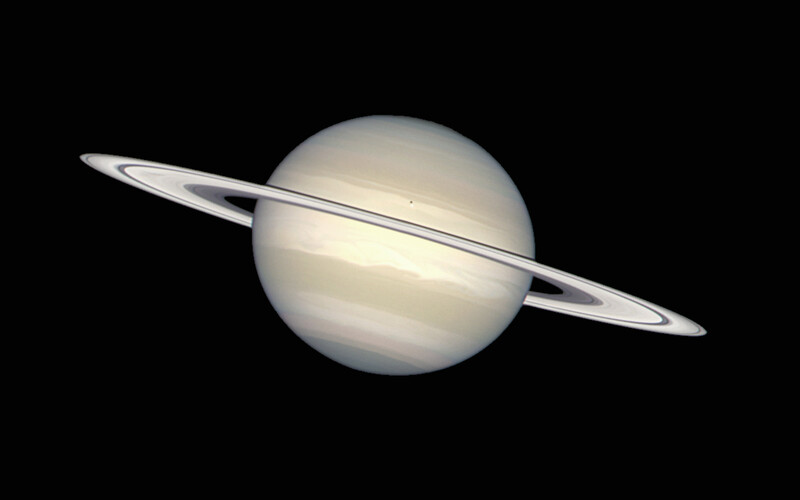 Saturn itself is made of ammonia ice and methane gas. 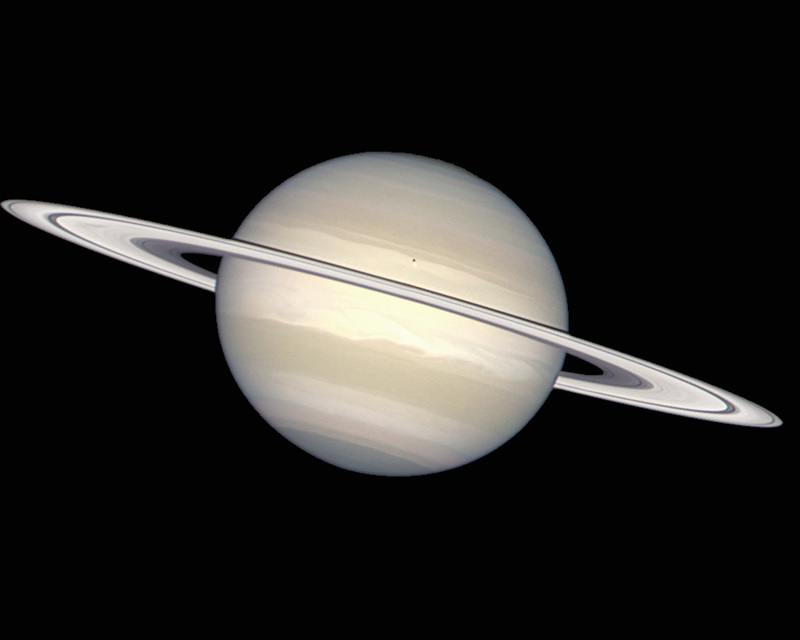 The little dark spot on Saturn is the shadow from Saturn's moon Enceladus.